An orthopaedic collection that relaxes your back muscles and prevents them to work all night. It supports the natural curve of your spine with a very rare combination, as it has an optimum hardnesss which not only makes it an orthopaedic mattress, but the comfort factor is also taken care of, making a promise of sound sleep for you. It uses the unique SRTx Technology. Thickness Customize as per requirements. Dimension Customize as per requirements. Being the foremost names in the industry, we are offering an extensive range of Health Boom Mattress. Offers body relaxation to its users, our deft professionals use high quality foam and contemporary machines to design this mattress. Additionally, our quality inspectors keep an eye on this mattress at every stage of designing in order to remove any possible defect from. It's a 5" mattress with extra firm active bond material that offers superior comfort for natural sleep and complete spine support. It is a combination of comfort, durability and firmness. It consists of a superior quality inner shell that is made of permium quality active bond materials using Rebotech tehchnology. It is anti allergic and mite free. Driven by technically advanced facilities, we are manufacturing, exporting and supplying an extensive variety of Health Spa Air Mattress. Offered spa air mattress is designed by our talented professionals by making use of modish technology and quality-tested foam. This spa air mattress is suitable to be used in different commercial as well as residential places, owing to its brilliant features. Put an end to restless and painful nights with the new face of Healthy Back, Health Spa Air mattress. A 5" mattress with extra firm active bond material that offers ultimate back support. The contour regulation technology of this mattress creates an optimized balance between comfort and firm support. Wake up fully charged and refreshed every morning after a good night's sleep. 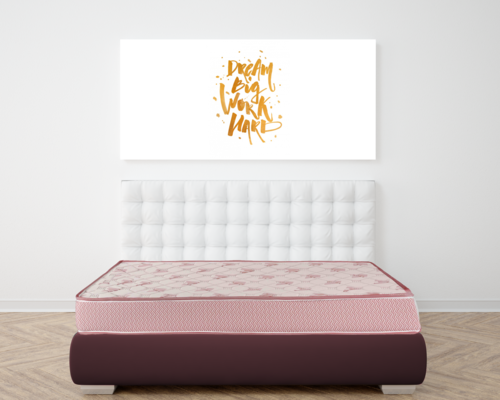 This dual side extra bounce mattress provides you with the highest level of comfort as the mattress comprises of bounct Thermamedic Pro Bonded Foam that supports every inch of your back effortlessly. It ensures years of comfort, without developing a sag and thus provides adequate support for your body. Coirfit Health Spa Dual Comfort mattress offers the highest level of comfort; the mattress has HD PU foam laminated with medically approved Active Bond material. The mattress comes with an imported knitted Jacquard fabric cover. The mattress has optimum hardness and softness level which makes it an ideal orthopaedic mattress but at the same time offers fantastic comfort. Ideal for backache patients and sensitive body. Prevents muscular tension and filament stress. Creates a restful non REM Stage of sleep. This is the best backcare mattress recommended by orthopaedic doctors. Yes, this is the solution you have been waiting for! This is the most comfortable mattress for people tired of back ache problems. This spinal support mattress holds every inch of your body by perfectly adjusting to its contours. Luxurious orthopaedic mattress for orthopaedic support, the Coirfit Health Plus Plus is the ultimate in sleeping luxury and spinal support. The Health Plus Plus comes with an ultra premium fabric, and the mattress does not allow the growth of fungus or bacteria. The granular construction keeps the mattress well ventilated and cool throughout the day. This orthopaedic mattress supports every inch of your body by perfectly adjusting to your body's contours. The contour regulation technology offers an optimized balance in comfort and a firm support. This supreme mattress spells class and can even beat the finest spring matresses. It is every doctor's choice for a healthy back. Club Spa is a wonderful body support mattress that comprises of Resilient HR Foam which gives you optimum support and relaxes your body muscles while you sleep on it. It is a perfect combination of comfort, durability and firmness. The imported Belgian upholestry is anti-microbial and anti dust mite. Perfect Balance sustained for years to ensure high level of comfort and support. The mattress is a blend of natural healing and rejuvenating properties of the Nature's wonder plant, Aloe Vera with our next-generation pressure relieving foam to create the best night's sleep imaginable. Ideal for backcare patients and sensitive bodym Alovera Spa is not just pleasant to sleep on but has a positive impact on the energy level as well. The unique treatment inhibits the growth of bacteria and fungus thus keeping the mattress sanitized and fresh. The most advanced sleep system that moulds to the shape of your body quickly for full contour support derived from NASA'S temperature sensitive material. So whether you have sore neck, lower back pain or other problem areas, this mattress will help in eliminating stress and pressure points across your entire body.